I am only familiar with this term when I know about the anime. Is this term only used in Japan? Sometimes I read light novels on the internet but I never see the book myself. How is a light novel different from a regular novel? Except for light novels being... light, are there any other differences? Are light novels used exclusively for anime or manga adaptations? Are there any light novels that do not use manga-style drawings? A light novel is a style of Japanese novel targeting teenagers and young adults. These novels contain mostly illustrations in anime or manga style. They are usually published in bunkobon size (A6 – 105 x 148mm). Light novels are not very long. The length is comparable to a novella in US publishing terms. 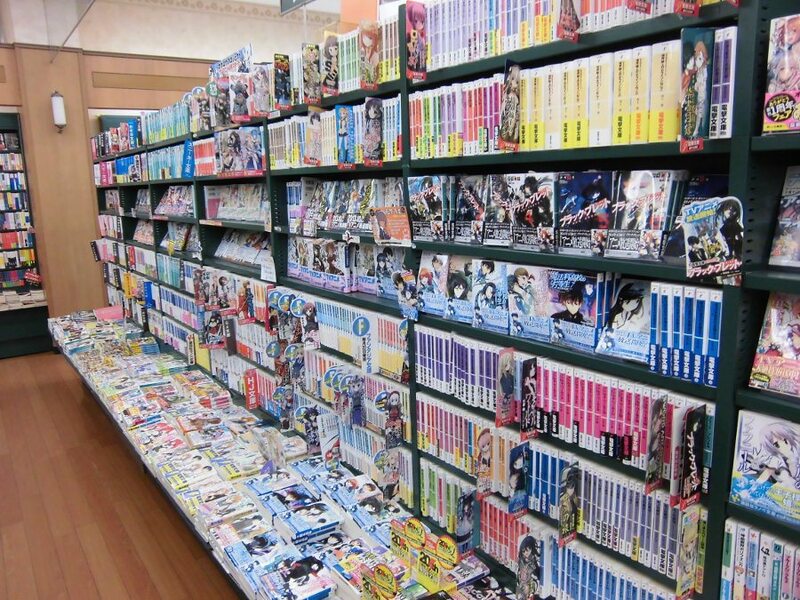 Light novels are very popular in Japan as you can see in Japanese bookstores. Where does the term come from and what does it mean? 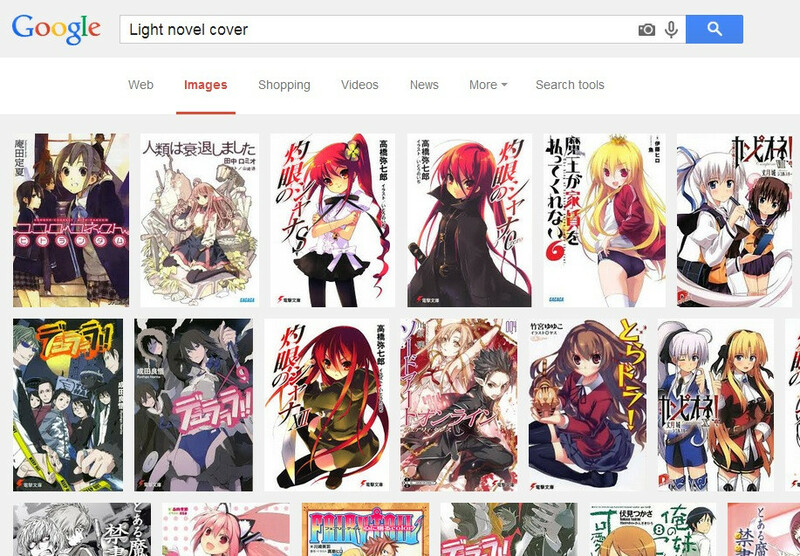 The word “light novel” is actually not an English word. It is a wasei-eigo (literally translated “Japanese-made English”) which is a Japanese term formed from words in the English language. The term is everywhere used where you read such novels. In Japan you will use the word raito noberu (sometimes also ranobe or rainobe as an abbreviation) which is the Japanese term of light novel. In the western culture light novels are normally called Japanese Novella. What is the difference between a novel and a light novel? 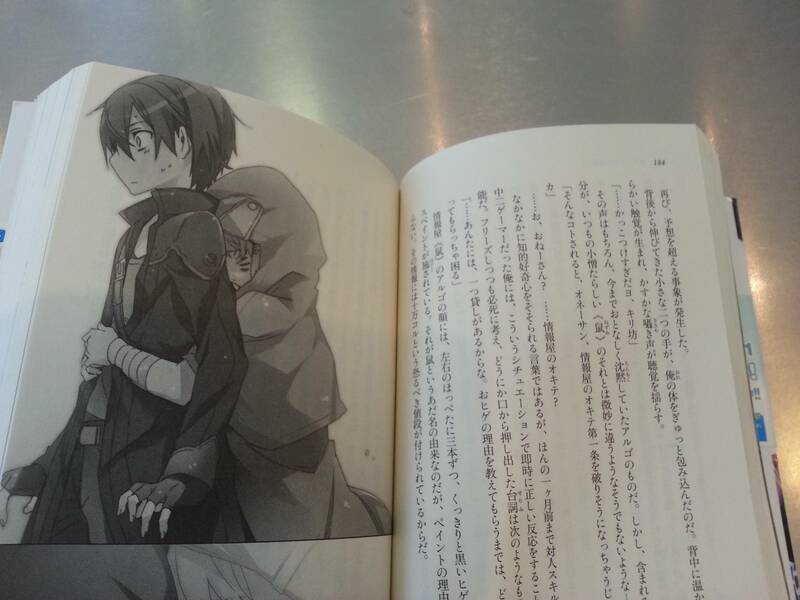 In short: Light Novels are usually shorter and they also contain few illustrations. In addition they are easier to read. This is particular because the text contains much simpler and easier to read modern kanji. The illustrations are mostly at the beginning of capitals or when a new characters respectively a new place is described. On the picture below you see an example on how a light novel is build up. Left an image from the scene and to the right the text to read. In typical light novels you will find mostly black and white illustrations. But today you also find many novels that include colored illustrations. Why is a light novel styled like an anime or manga? The reason because light novels are styled like anime or manga is because of their history and they are actually from Japan. Light novels are an evolution of pulp magazines. To please their audience, in the 1970s, most of the Japanese pulp magazines, which had already changed from the classic style to the popular anime style covers, began to put illustrations in the beginning of each story and included articles about popular movies, anime and video games. The narrative evolved to please the new generations and became fully illustrated with the popular style. The popular serials are printed in novels. In recent years, light novels' stories have been popular choices for adaptation into manga, anime, and live-action films, though in the case of the former two, usually only the first two novels are adapted. Information from wikipedia, englishlightnovels, animanga.wikia, tvtropes. A fictitious prose narrative of book length, typically representing character and action with some degree of realism. Therefore I always assumed a light novel to be a short story of sorts, something you could read on the bus or on the train. After looking it up, I was wrong. A light novel apparently is a Jenglish or wasei-eigo expression for a novella, which would be a short novel, but not as short as a short story according to it's wiki page. So before I continue and answer your questions, I'll let wikipedia explain what a light novel would be. A light novel (ライトノベル raito noberu?) is a style of Japanese novel primarily targeting middle and high school students (young adult demographic). "Light novel" is a wasei-eigo, or a Japanese term formed from words in the English language. Such short, light novels are often called ranobe (ラノベ?) or LN in the West. They are typically not more than 40,000–50,000 words long (the shorter ones being equivalent to a novella in US publishing terms), rarely exceed 200 pages, often have dense publishing schedules, are usually published in bunkobon size, and are often illustrated. The text is often serialized in anthology magazines before collection in book form. Is this term only use in Japan? Yes it is. If you would use the term in the west, you would be referring to Japanese novella. How is a light novel different from a regular novel? I guess novels would printed in the A5 format, but a light novel would be printed in the Bunkobon format, which would be the A6 format. Is a light novel used exclusively for anime or manga adaptation? While searching about Light novels I encountered the wiki how page on Light novels. So if you ever wanted to write one yourself, check it out. This term originated in Japan as a 和製英語 (wasei eigo [meaning Japan-style English] = Japanese-invented words that "superficially appear to come from English, but in fact do not"). Wasei eigo differs from 外来語 (gairaigo = loanwords or real “words from abroad”) and Engrish (misuse or accidental corruption of the English language by native speakers of some East Asian languages). The term "light novel" has been adapted from Japan for use in other Asian countries, where it refers to imported light novels from Japan as well as to locally-produced books of similar style (In Korea, it is called "라이트 노벨" [laiteu nobel], in China it is called "輕小說" [qīng xiǎoshuō] = "light fiction"), whereas in English-speaking countries, the term refers exclusively to Japanese light novels which are imported under that term. In the English usage, the term is only used to refer to such books produced in Japan (i.e. there cannot be a legitimate American light novel just in the same way as there cannot be American anime). How is a light novel different from a regular novel? Except for light novels being... light, are there any other differences? A light novel is short in page length and usually features intermittent manga-style illustrations --- but that same description can be said of many Japanese children's novels! In contrast, light novels are for all ages & demographics. Although it is approximately equivalent in length to the Western novella, the light novel cannot be called a Japanese novella: the Japanese term for "novella" is 「中編小説」(chuuhen shousetsu), and is not used to refer to light novels (it is used for short stories by Murakami Haruki, for example, which are considered high-quality literature). Though each published volume is short, light novels can stretch into long series. Some of the series premier in magazines, so you can think of those like literary serials (think Charles Dickens); a serial is episodic, "a printed format by which a single larger work, often a work of narrative fiction, is published in sequential installments." As such, a serial is written differently than a full-length novel that gets published into a chunky book at once. A serial must grab the reader's interest in the first chapter, and plot out the development so that at least one exciting thing happens in each chapter. It intentionally ends chapters with a cliff-hanger when possible. It cannot leisurely build to the climax, or take a whole chapter or so to only tell you what a minor character is doing somewhere else (which a novel printed all at once is free to do). Thus, the format of the story is structured in a specific way that other novels are not bound to. This is another aspect in which the light novel differs from average Japanese children's novels. This is also why, if Harry Potter had been written in Japanese with manga-style illustrations, it still would not have been a light novel: it is not short in length and it was published all at once rather than serialized. A large percent of light novels are read by people involved in some sort of sub-culture, such as manga, anime, and/or gaming. However, just because a certain percentage of light novels include moe, light novels are not limited to such content and tone; all genres are included, from horror to romance to sci-fi. Some are the novel-equivalent or adaption of shoujo manga and are marketed at young girls. Some genres are less likely to be exported based on the otaku demographics outside of Japan, so those genres are less well-known to the international subculture community. In contrast to standard Japanese (and Western) novellas and novels for adults, light novels are often illustrated. No, some light novels are serialized as their own original works in non-manga magazines and never have a relation to manga. Some light novels now originate online and never have a relation to manga or any other mediums. Some light novels are created as adaptions of manga/anime/games after the manga series or game has gained a lot of popularity. Some light novels start as original works and then get adapted into manga/anime/games/live-action afterward. Yes. Artists of the earliest light novels included those who worked in 油絵 (abura-e = oil painting) and 水彩画 (suisaiga = watercolor). In 1987, the 少女小説 (shoujo shosetsu = girl's novels) genre began, and for the first time shoujo manga style was used, which helped establish the trend of manga-style art as the standard for light novels from the 1990s. While illustrations are a common feature, some light novels do not include any illustrations whatsoever. The ones without any illustrations are less likely to be exported to other countries and are therefore less well-known outside of Japan. It originated in Japan but not exclusive of Japan. There are light novel writers in Korea and China, since it can be used for anything written within certain criteria. How is light novel different from regular novel? If I had to describe it in few words: a easier to read novel. If you check out some novels, like Another and see most Light Novels the difference is evident. Light novels have shorter paragraphs, characters less complicated to read (i.e. the appearance of obscure Kanji in a sentence is rare), and generally shorter. Is light novel use exclusively for anime or manga adaptation? Actually, most light novels (LN from now on) don't make it to anime production, and some are adapted to manga to promote the novel itself rather than to make a illustrated carbon copy of the LN. This is, as with all business, mostly motivated by marketing reasons, rather than some secret rule. Granted, if your LN is popular, it will get advertised in more media (manga, anime, live action, etc.) than if it's not popular. Is there any light novel that do not use manga style drawing? Drawing depends on the artist, and most artist also do other things like doujins or the very manga. The drawing is merely a representation of what they know to do, rather than following a predefined style. The expanded definition and description of "light novel" appears to correspond to pulp fiction which started as magazine serials in the 19th century in English and Western European language markets - with the exception of it having the sensibility to be age appropriate for young-adults or the modern YA market. The format length appears to be driven by the market, and series light novels are much like series pulps - but with aiming the stories to be age appropriate for 10 and 11 year olds (and up). Not the answer you're looking for? Browse other questions tagged terminology light-novel-production or ask your own question. Why can't Natsu and Gajeel go through Freed's runes? Is The Legend of Korra anime? What are the differences between visual novel, eroge, gal game, and a dating sim? Is there more than 1 type of light novel in the Spice and Wolf series? What is this animation style? I would call it “serious”, but maybe gritty? Does Light Novel-based, slice of life anime in general have a clearly defined setting? Why MAL (MyAnimeList) is putting light novel and comic together?